There is a magical window of time when fresh figs are abundant, and this is it. Soft and fragrant, fresh figs are oh-so ethereal to eat. Their flavor is delicate yet nuanced. Depending on the variety, they can be sweet and winey, honeyed, or grassy. Black mission figs are the smallest, dark and furtively sweet. Brown Turkey figs are larger, striated in brown and yellow, and pleasingly sweet like honey, while Calimyrna are perhaps the prettiest – green and golden like wheatgrass, with a nutty vegetal flavor. When figs are ripe, they are luscious to eat straight up, but if you are lucky to have too many, then layer them into sandwiches and salads, or on pizzas and bruschetta. 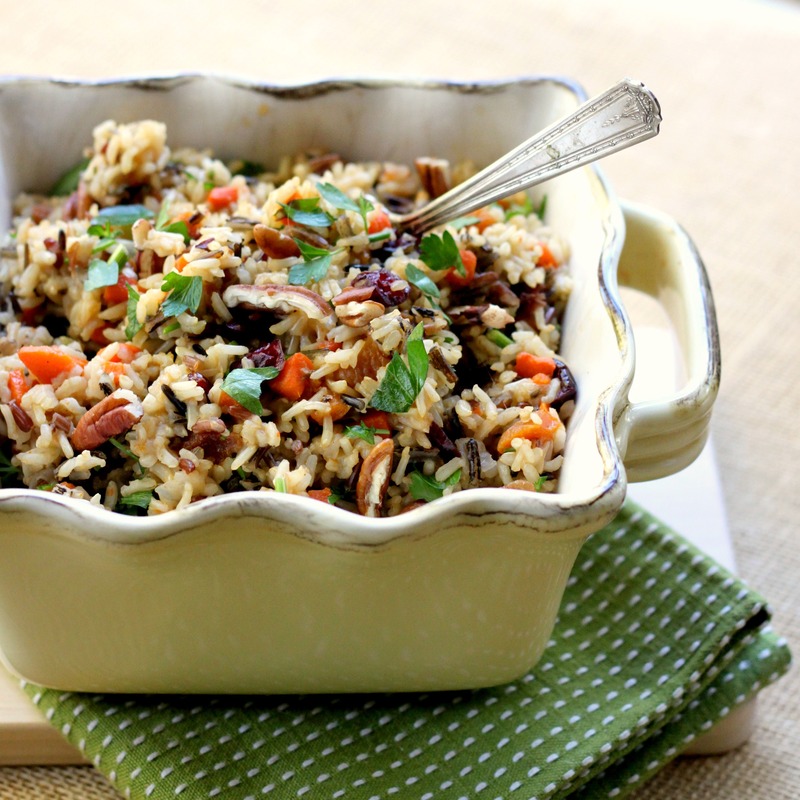 This recipe makes a hearty salad full of farro grains. If you prefer a more leafy salad, then halve the amount of farro. 1. Cook the farro: Combine the farro and water in a large saucepan and bring to a boil. Reduce the heat to medium-low, cover the pot and simmer until the farro is tender, about 30 minutes. Drain any excess liquid and cool the farro to room temperature. 2. Make the dressing: Combine the vinegar, lemon juice, garlic, honey, mustard, salt, and pepper in a small bowl. Add the oil in a steady stream, whisking to emulsify. 3. Assemble the salad: Combine the arugula and radicchio in a serving bowl. Scatter the farro over the salad and top with the figs, cheese, and mint. Drizzle with the dressing and gently toss to combine. Garnish with the pistachios and lemon zest and serve. It’s the time of year when we need a recipe like this: A pot of slow cooked, melt-in-your mouth, braised short ribs, blanketed in a rich, fortified, and deeply spiced sauce, evoking warmth, heat, and comfort. You can say it’s due to the climate, the holiday season, or even current events, but this braise will satisfy your craving and smooth your mood, focusing your attention solely on the task of digging into this heart (and belly) warming stew, one spoonful at a time. I make variations of this recipe under the guise of other comfort-food terms, such as Beef Bourguignon and Irish Stew. The ingredients shift slightly, but the principle is the same: Braising chunks of meat by first thoroughly browning them in a pan, then submerging the pieces into an aromatic stock of broth and wine, before banishing the whole lot to the oven for a couple of hours to simmer, marinate, and acquiesce into fork tender morsels swimming in a heady concoction of heat and spirits. The key is time and patience, which, frankly, is a rewarding exercise in itself. Ideally, you will exert even more time and patience in this process, and begin making this dish one day in advance of serving. This way, the stew can chill overnight, further intensifying the flavor, while allowing the persnickety fat to rise to the top of the stew so that it can be deftly removed the following day before rewarming. This short rib recipe is a favorite, with a rich and smoky sauce spiked with the heat of chipotle, and balanced by nuggets of sweet carrot, onion, and baby turnips. I made it recently and captured the photo with my iPhone – we were too famished and greedy to wait for me to fiddle with a camera before tucking in. 1. Combine the dry rub spices in a small bowl. Arrange the ribs on a rimmed baking tray. Rub the spices all over the ribs. Let stand at room temperature for 1 hour (or cover and refrigerate for up to 24 hours. Remove from the refrigerator 30 minutes before browning). 3. Heat 2 tablespoons oil in a large Dutch oven over medium-high heat. In batches without crowding the pan, brown the ribs on all sides, about 8 minutes. (This step is very important, so take the time to do it well). Transfer to a plate or bowl and repeat with the remaining ribs. 4. Drain off the fat from the pot. Add 1 tablespoon oil, the onion, and garlic and sauté over medium heat until softened without coloring, about 3 minutes, stirring up the brown bits in the pan with a wooden spoon. 5. Add the cumin, paprika, and coriander and cook, stirring, just until fragrant, about 30 seconds, then add the tomato paste and stir to create a nice slurry. 6. Add the wine, chipotles, and bay leaf and return the ribs and any collected juices to the pot. Pour in the stock. If the ribs are not completely covered with the liquid, add more stock or wine to top off the ribs. Bring to a boil, then turn off the heat. Cover the pot and transfer to the oven and braise until the ribs are very tender, 2 1/2 to 3 hours, stirring every hour or so. 1. At least 1 hour before serving, remove the pot from the refrigerator and lift off the layer of fat on the surface of the stew. 2. Sauté the carrots, onions, and turnips (if using) in 1 tablespoon oil over medium heat until they are crisp tender, 4 to 5 minutes. Lightly season with salt. 3. Gently reheat the braise over medium-low heat until the stock is liquid enough to remove the ribs. Carefully remove the ribs from the sauce and arrange in a baking dish. 4. Bring the sauce to a boil and simmer over medium heat until reduced by about half and thickened to a rich sauce consistency, 10 to 15 minutes. Return the beef to the pot and add the vegetables, vinegar, and sugar. Simmer until thoroughly heated, 5 to 7 minutes and season with salt and pepper. Serve immediately or keep warm until serving.